The Middlebury New Filmmakers Festival is excited to launch its very first Kids & Family Day August 22, just before Opening Night kicks off on Thursday, August 23. Join us at the Middlebury Marquis from 9am -6pm for a fun day chock-full of family-friendly films, awesome hands-on activities and experiments, facepainting and, of course, popcorn! Tickets will be sold at the Marquis. Kids under 8 are admitted for free, tickets for kids 8-18 are $5 and tickets for adults 18+ run $10. Check out the schedule of events and films for Kids & Family Day – we’ve got something for everyone! Who doesn’t love face painting? Visit us at the Marquis Cafe – bonus points if you choose a design tied to a movie! Tinker & Smithy Game Store is generously providing games to moviegoers! Whether you want a break from the screen or just really love Settlers of Catan (who doesn’t! ), we invite you to check out our games which will be available at the Marquis Cafe all day. Join Minibury in a fun hands-on activity at the Middlebury Marquis Cafe! We’ll be making our very own flip-books, the original form of animation. This event is free and open to all ages. What happens when a fox thinks it’s a chicken, a chicken thinks it’s a wolf and the wolf dreams of being Santa Claus? Mayhem! Don’t miss this hilarious French animated feature that will delight kids and parents alike. More about the film. Lovers of mini-golf, rejoice! MNFF is excited to offer Through the Windmill, a feature documentary that tells the story of miniature golf in America. Lovingly directed by Amanda Kulikoski, Through The Windmill is an endearing movie about the families that have created these beautiful labors of love for all to enjoy. More about the film. We are excited to announce that Director Amanda Kulikoski will join everyone for the screening on August 22! 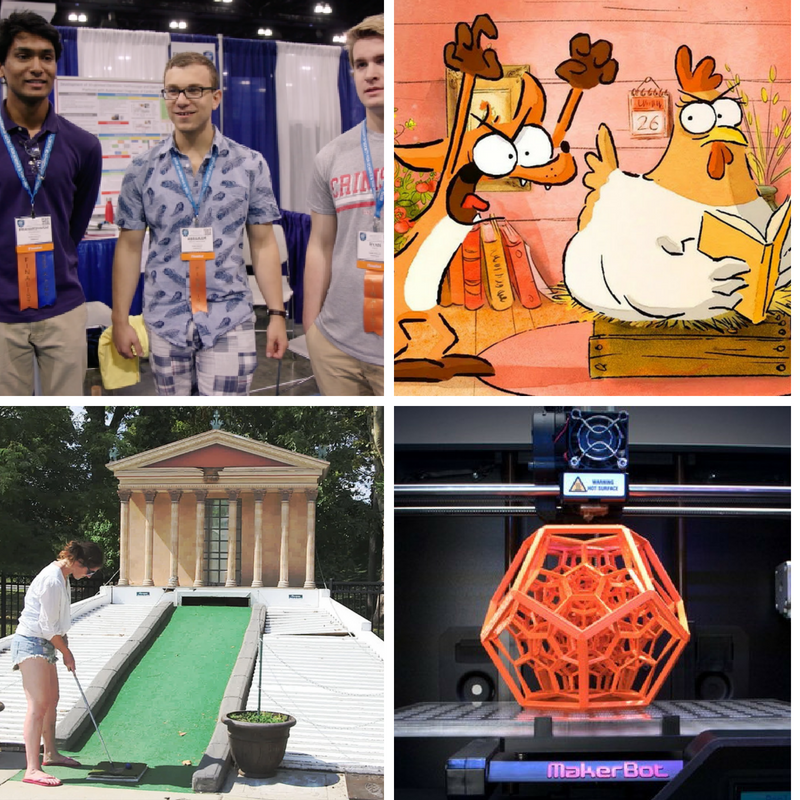 3pm: Activity – Nanotechnology, 3D printers, Science Experiments, Oh My! We are so excited to partner with Burlington’s Starbase to present some incredibly cool science gadgets and experiments. We’ll learn how a 3D printer works, squash marshmallows inside bell-jars with just air pressure, see what nano-wire and nano-sand look like, and even more. Calling all scientists – you won’t want to miss this! The Vermont Premiere of Science Fair will offer a delightful and thrilling insight into the world of highly competitive science fairs. The film follows nine extraordinary students as they compete in the Intel International Science and Engineering Fair against more than 1,700 other students from 78 countries. Only one can be named Best in Fair and take home the prize of a $75,000 scholarship. Witness the joy, excitement and the fascinating behind the scenes stories of the kids who aspire to be the future generation of top thinkers and inventors. Don’t miss the Vermont premiere of Science Fair! More about the film.